Amadora is a municipality and urbanized city in the northwest of the Lisbon Metropolitan Area. The population in 2011 was 175,136, in an area of 23.78 km². It is one of the most densely populated municipalities in Portugal. Originally named Porcalhota, for being a Majorat of the daughter of one man surnamed Porcalho who was called for being a female Porcalhota. The Aqueduto das Aguas Livres, which brings water from Sintra hills to Lisbon, and stretches 30 kilometres (19 mi), was finished in the 1770s and includes the largest masonry only arch ever built, located in Campolide — local coat of arms also displays the aqueduct (like others along its way). At the request of its population, in 1907, a decree issued during King Carlos I reign, merged the communities of Porcalhota, Amadora and Venteira into one municipality that named it Amadora. At the present time Amadora does not have any airfield. However, in the 1920s a small airfield (the first in Portugal) was located here. The first air-travel from Portugal to Brazil had its departure from Amadora. The Captain of the airplane was Adm. Gago Coutinho, a well known Portuguese celebrity. 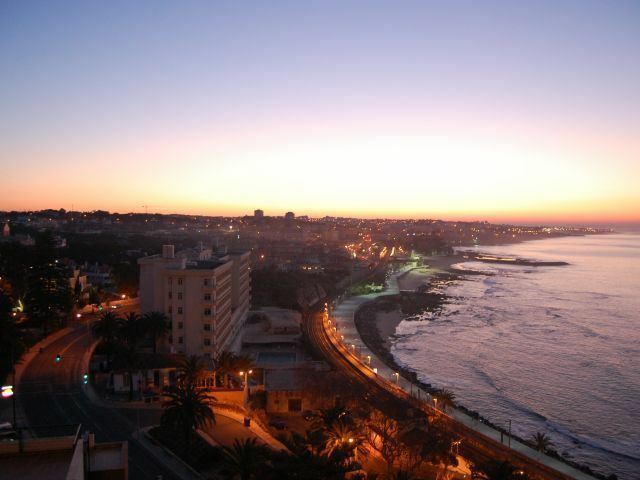 The municipality was formed on 11 September 1979, when it ceased being a parish of the municipality of Oeiras. Few days later, on 17 September, Amadora was granted city status. The former Sorefame railway rolling stock factory was located in Amadora, but was closed in 2004. Most of the carriages for Portuguese Railways built during the second half of the 20th century were constructed here. One of the largest urban communities in Portugal, Amadora forms a conurbation with the Lisbon, sharing the same subway, bus and train networks. It is dominated by large apartment blocks, commercial parks, industrial areas and some headquarters of international companies. Despite being essentially a residential city, Amadora has commercial zones, industries and headquarters of international companies operating in Portugal. Every year, Amadora city organizes the Amadora International Comics Festival.